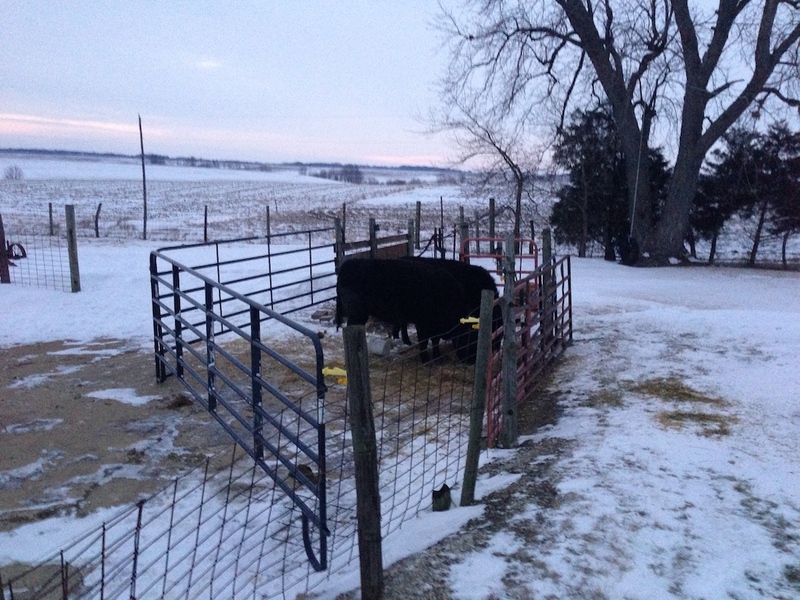 I got up early to do chores, and easily set up a holding pen around the animals as they munched their morning hay. 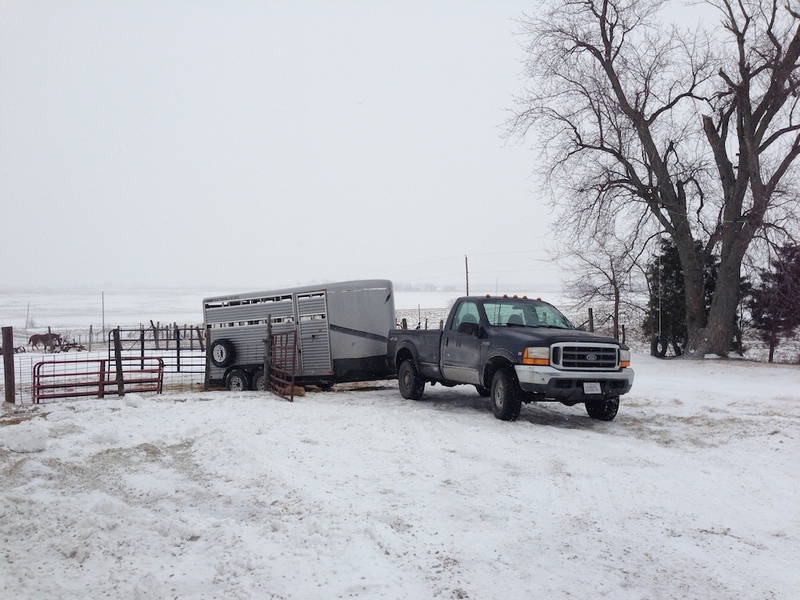 When the trailer arrived, we backed it up to the gate and attempted to work the animals in. Neither one was very interested, and they got pretty agitated. 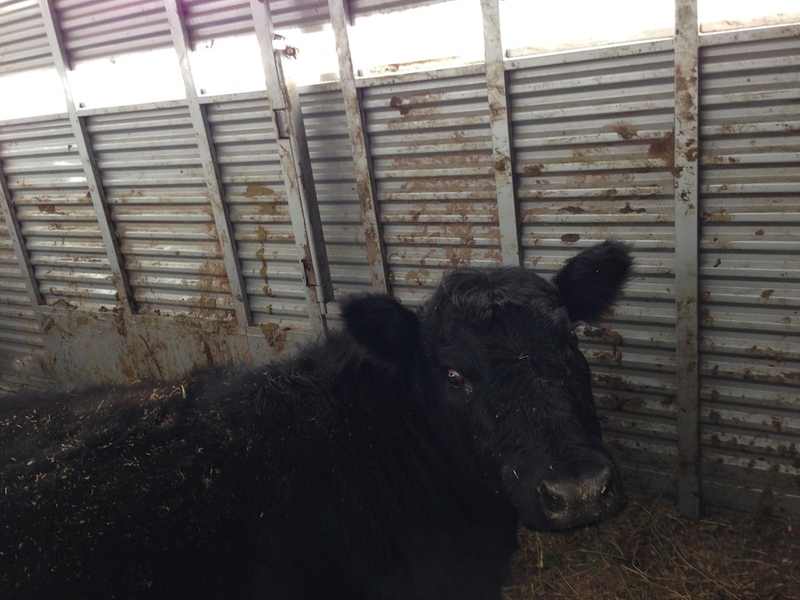 We did manage to get Punch loaded, but Judy stuck her nose under the blue fence panel and bolted back into the pasture! After a few failed attempts to lure her back, we had to let her be for the morning – the packing house wanted Punch there by 9am, so we had to get on the road. When I returned, I backed the trailer back into the pasture again, and after several false starts, was able to lure Judy in with a bucket of corn. She was just in heat about a week ago, so she’ll have to stay in with the bull for at least 7-8 weeks so we know fairly surely she’s bred before we bring her back home.